Climate variability and change are affecting hydro-meteorological cycles and altering aquatic ecosystems, driving shifts in physical and chemical processes, ecological communities and the distribution and abundance of species. 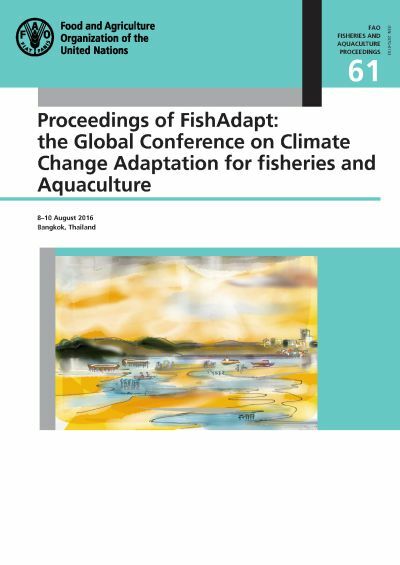 These changes have implications for fisheries management, food security and the livelihoods of more than 600 million people worldwide that are employed in fisheries and aquaculture, their value chains and related industries. The FishAdapt conference was held in Bangkok from 8 to 10 August, 2016. 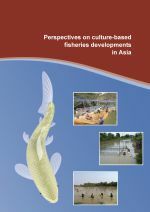 It provided a forum for scientists, development professionals and natural resource managers working in the context of fisheries, aquaculture, rural development and related fields to share practical experiences in understanding the vulnerabilities associated with climate change and ocean acidification and the development of risk management and adaptation strategies. The conference bridged interdisciplinary gaps and provide a wider, shared perspective on the issues and the current state of knowledge. These proceedings share the experiences of the 110 participants from 27 countries and show that much can be done at the household, community and sector levels to support the resilience of the sector and its dependent communities in a changing climate.